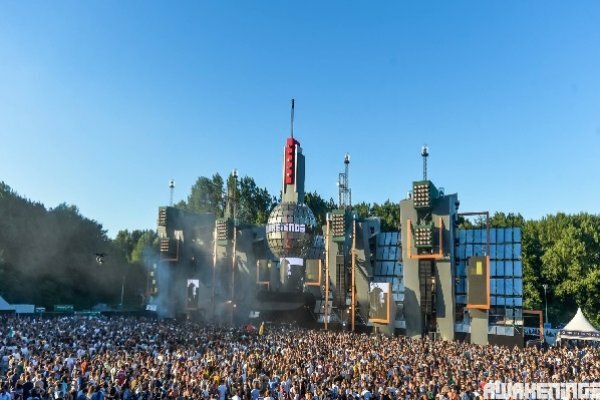 Awakenings, one of the most famous electronic music festivals and the biggest outdoor techno festival in the world, with over 80,000 visitors during the weekend, is the very top of the European techno music calendar. The biggest techno festival in the world, Awakenings in Amsterdam, will be held this year on June 29 and 30, 2019. It will be open from 12h to 23h. During the two days of the festival, more than 100 techno DJs will present their best sounds in one of the most visited techno events in the world. Entrance is allowed for people 18 years of age, so you will show your ID on the gates of the festival. If you have purchased a ticket for the festival in a package with the hotel, the book "Awakening: 20 Years of Awakenings" will be presented as a gift in your room. This book is a story from the beginning to the present, full of illustrations and various interviews with more than 500 pages. "Protect your ears with plugs" is one of the Awakenings festival's messages. Like every year, collaboration with Alpine Hearing Protection allows visitors to protect their hearing, earbuds, "while you are near the speakers, be aware of how close you are and do not stand too close because it can have a serious impact on your ears. Take a break from music whenever you can, "they say from the organization of the festival. At the festival there is a large selection of cuisine and various foods, so some of the stands will have options without gluten and lactose as well as for vegans and people who are on raw diet. This festival is famous for its green environment, which helps the music "not fly away" and contributes to the incredible vibrations and feel the atmosphere at the festival. Awakenings devotes great attention to detail in every aspect of the spectacular event, the incredible product of artists on the international techno scene for all the tastes of the techno community, industrial techno, acid techno, minimal techno, deep techno, atmospherec techno as well as a good production of lighting and sound. We are sure that this festival will continue to be one of the leading techno events in the world.